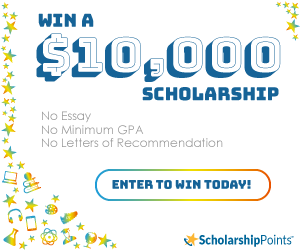 Whether you’re a high school senior applying to college, a current college student planning to transfer, or a college senior applying to grad school, make sure to check out these last-minute application tips before you hit the submit button. No one wants to see a “CutePie100” email address in the application. Your email may be the one small thing that puts off your admission by questioning your maturity. Create a more professional email using your first and last name or initials. This seems very simple, but a lot of applicants make this mistake. Make sure you carefully read the instructions for each application you complete. Every school does not require the same thing. For example, one school may require you to write an essay about why you chose the major you are in, while another school asks you to write about how they can help you achieve your goals. Don’t assume each school has the same instructions. Read the directions carefully and double-check before you submit your application. For essays, add information from the school’s website into your reasons why the school is a good fit for you and how they can help you achieve your goals. This is also a good opportunity to show that you have knowledge about their programs and academic offerings. Treat each application like it’s for your top-choice school, even if it’s not. Put the same hard work and dedication into every application you submit. Make a list of the requirements that each school is asking for, whether it’s test scores, transcripts, recommendation letters, etc. Be sure to have all of your documents in order and ready to go. If you are mailing these documents, plan ahead so that they reach the school before the application deadline. You don’t want to be the one who accidently puts another school’s name in your application. What a better way to show you don’t care, right? Review your writing for each application you fill out and make sure the writing refers to that specific school. Also, double-check for grammar and spelling mistakes! It is always helpful to have a second (or third) opinion. Ask a parent, teacher, or friend to review your written documents. It is very easy to overlook a simple mistake, especially when you’ve been working on it for a long time. Another set of eyes can easily catch that mistake, and might even be able to offer some additional advice. Some applications request a lot of information, especially for grad students. Make a list of everything you are required to do and check it off as it is completed. Once you are finished, go back and re-check to make sure everything is completed for each application. Most applications have a priority deadline and a final deadline. Be sure to get your application finished and submitted as early as possible. You don’t want to have to rush everything when the final deadline arrives.